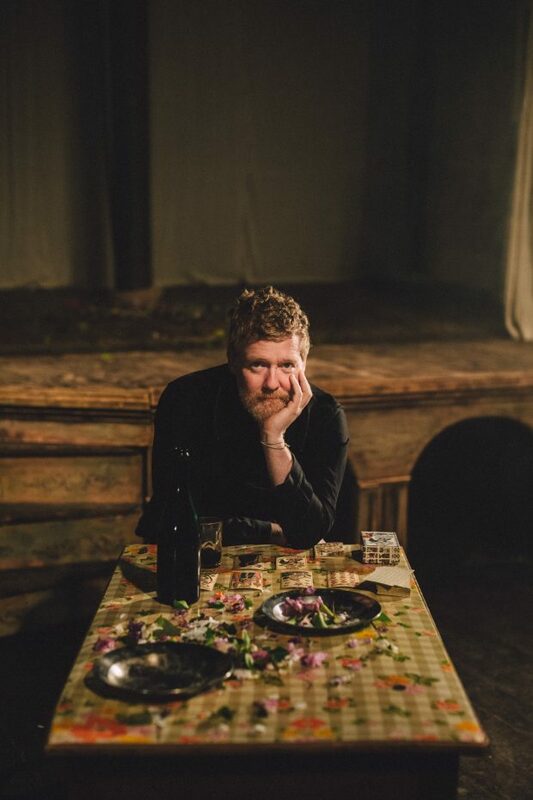 Marking his third solo album, singer-songwriter Glen Hansard will release ‘Between Two Shores’ on January 19th 2018 via Anti-. Following up 2015’s Grammy nominated ‘Didn’t He Ramble’, and his 2012 solo debut ‘Rhythm and Repose’, the ten-track collection was produced by Hansard himself for the first time. The culmination of more than six years of writing and recording, ‘Between Two Shores’ came together in only a matter of weeks. Back in March, Hansard booked himself time at Black Box Studios in France with the original idea of taking inventory of his songbook. Working again with former Frames bandmate and producer David Odlum, Hansard was in search of a direction for his next record. As he trove through his previous sessions, various ideas and home recordings, a sketch of an unplanned record began to take shape. While the record truly came together in France, ‘Between Two Shores’ features material captured in New York and Chicago with a revolving cast of musicians. In addition to Blade, the record also features Thomas Bartlett, Brad Albetta and Rob Moose who appeared on much of ‘Rhythm and Repose’. However it’s Glen’s touring band – Joseph Doyle, Rob Bochnik, Graham Hopkins, Justin Carroll, Michael Buckley, Ronan Dooney and Curtis Fowlkes – that feature most prominently and take centre stage on tracks like the upbeat E Street shuffle of ‘Roll On Slow’ and the Van-tastic ‘Why Woman’. The album’s title comes from Hansards ongoing love of sailing and the sea. When one is equal distance between their starting point and their destination they are in essence “between two shores”. A less than ideal time to wonder whether you should turn back or continue on, but a thought that inevitably rears its head. With ‘Between Two Shores’ Hansard has managed to capture that feeling of the big soulful sound of his large touring band while still retaining the intimate introspective nature of his acoustic shows. To which way the wind will blow on his next record remains to be seen. Hansard is a founding member of The Frames who celebrated 25 years as a band in 2015. He is one half of The Swell Season, which also features pianist Marketa Irglova. Together in 2007 they wrote the music for and starred in the movie ‘Once’. The song ‘Falling Slowly’ from the film was awarded the Academy Award for Best Original Song. In 2013 the film was adapted for Broadway as Once, The Musical, winning eight Tony Awards including the Top Musical Prize itself and an Olivier Award in London for Outstanding Achievement in Music.